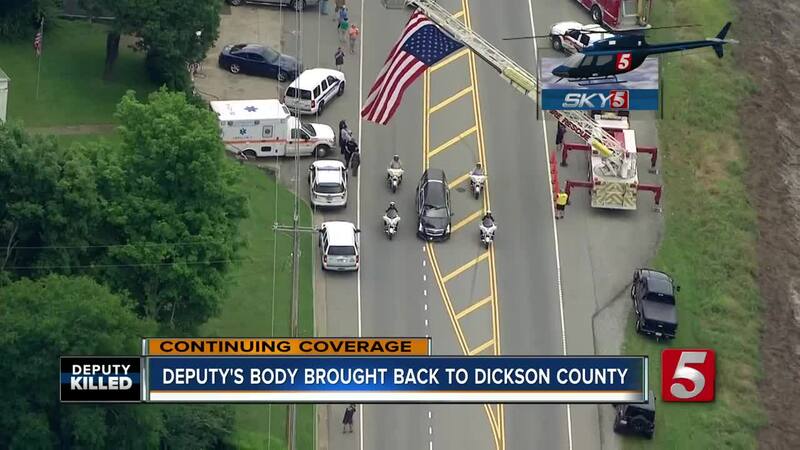 A procession escorted the body of Deputy Daniel Baker from Nashville back to Dickson County. The procession began shortly after 1 p.m. Thursday. 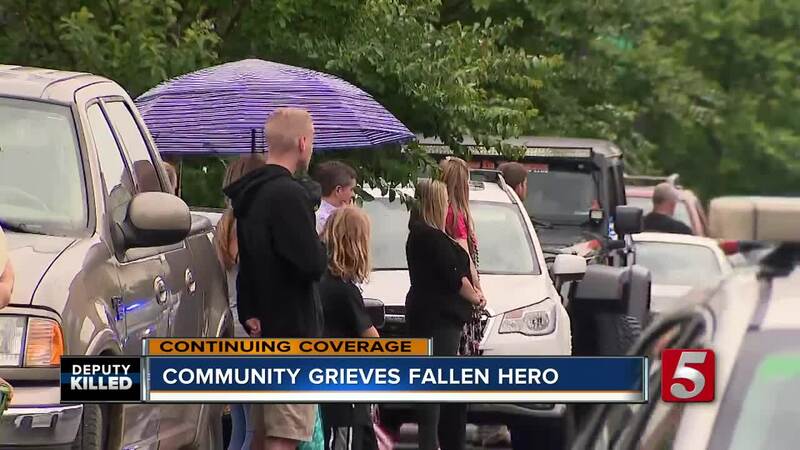 Baker was killed Wednesday morning after responding to a call about a suspicious vehicle. The manhunt for the suspect remained ongoing. So far, there have been no credible sightings of 31-year-old Steven Wiggins, who's considered armed and dangerous.